You are here: Home / Make money Online / How I Open My PayPal India account to Work Online? How I Open My PayPal India account to Work Online? Since we have facing so many scams on India base online jobs so it has been a good idea start earning as a freelancer from foreign website like Clixsense. Earning from such foreign freelancer website you must have a PayPal account in order to get payment and send registration fees. Many of India people does not have any clear idea about PayPal India getting started process and sometime wandering to give their Credit card or debit card information. As a result a lot of PayPal India account is not perfectly verifies and not able to received money for online freelance work. So what I am going to teach you in this article? • What is PayPal account? Why should you have this to get paid? • Requirement to open PayPal account? • How to Open PayPal account? • How to verify my PayPal India account with credit card or debit card? • How to load cash into your PayPal account? • How to withdraw your money from PayPal to your Indian bank? • Charges of Using PayPal and taxation. • Limitation of PayPal account! What is PayPal account? Why should you have this to get paid? PayPal is the best worldwide online payments system and one of the must have way to get paid while you are doing international freelance work. There are so many uses that millions of people around the world are using PayPal service. As an India getting paid from International freelancer website like Clixsense, fiverr.com is not an easy task as they is not allowing payment withdraw to your Bank account. 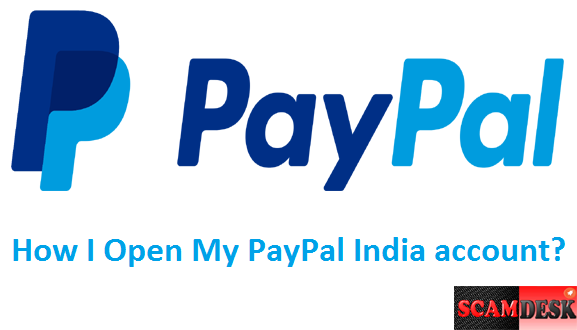 As alternative you can use your PayPal India account and easily get paid. The most incredible think about PayPal India is after receiving any amount into your PayPal India account you don’t have worry about bank withdraw , its be auto transfer to your register bank account with 7 business day. The requirement to open PayPal account? Only your CBS enable bank account details and Debit card/card basic information is enough to open a new PayPal account. We have notice that few of banks like PNB and UBI has blockage of international banking transaction, so it’s better to have bank account like SBI ICICI, or YES bank. But if you don’t have such bank don’t be sad without give it a try , also put comment us what happen to you with other bank while you try to register for PayPal India account. Opening a new PayPal account is very cool and fun. A lot of India People are in a myth that getting a PayPal account is very complicate and unsecure, but this not true even PayPal has top level account security police and customer privacy system. Anyway first of all visit PayPal website and click to register new Sign up for new account. Now either you can choice personal account or business account. And click next to fill out your name and email address (See Screenshot) Now click on next and provide your Personal information. All set! Now check your email and confirm to PayPal. Now you can able to login into PayPal website to beginning the next level start-up process. How to verify my PayPal India account with credit card or debit card? Opening the PayPal India account is not enough to send and receive the money. You have to take care of below 5 confirmations to get 100% approval of your newly created PayPal account. Note- A lot of people link linking your debit card or credit card is not secure on PayPal but its not true, go ahead link your Credit card, Bank account and Debit card without any fear. As soon as you liked your bank account PayPal will send two small amounts as deposit into your account. Now get the statement and type exactly what amount you received the bank verification link. Additionally while you linking your debit card or credit card PayPal may charge you few test amount. In my case while I linked my credit card PayPal deducted $1 and later I found PayPal to return my money as INR that us Rs-64.58. Such a Good jobs isn’t it? Old Post- Does Your Credit Card Safe? Know how does a Credit Card Frauds happen? How to load cash into your PayPal account? You have Bad luck if you are and India, because PayPal a lot of RBI restrictions there for you can load amount into your PayPal account using you debit card. Hence international credit holder can easily add money to their PayPal account. This is not the end of this problem as still you can keep the money stay not more than 7 days as PayPal will auto withdraw all amounts into your bank account. If you want to pay for any service or goods better to add that much amount into your PayPal account and make the payment immediately. How to withdraw your money from PayPal to your Indian bank? So you are a freelancer and receive money into your PayPal account, now guessing how to withdraw your money right? Don’t worry you have to do nothing to get paid. As soon as your will received any amount into your PayPal account just sit back and relax as Indian PayPal account holder will received bank auto withdraw within next 7 business day. Charges of Using PayPal and taxation. In a country like India PayPal not yet so popular due to RBI restriction. I was to be a good fan of making online payment through PayPal but as its too difficult to add fund many of blogger and Internet freelancer from India like to use a Credit card.